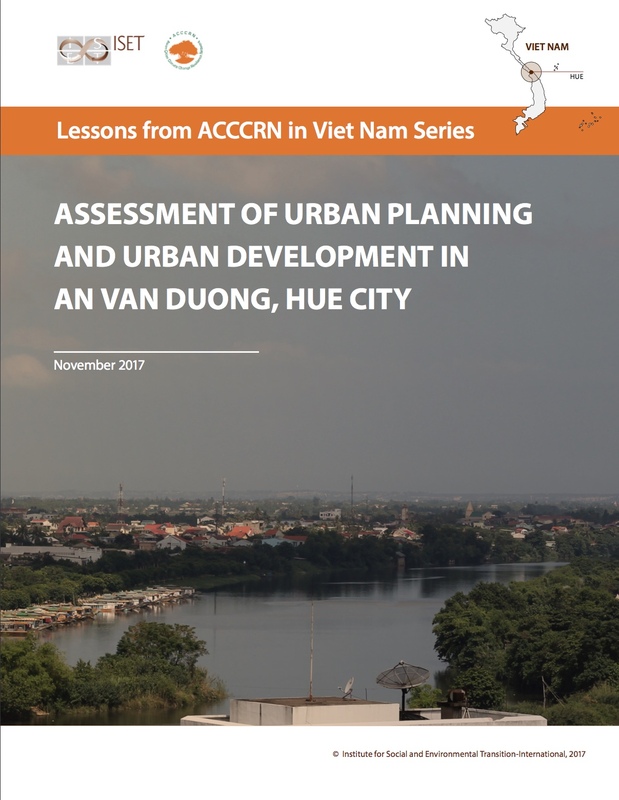 This article presents major findings of a study done in 2014-2015 to assess the urban planning and development process of An Van Duong, one of the most influential urban areas to the development of Hue City. The An Van Duong master plan was approved by the Thua Thien Hue provincial People’s Committee in 2005 to expand the city to the south. This urban area is now facing problems related to flooding and inundation, which urged this research to examine and assess its planning and development process to identify possible solutions and strategies for future sustainable development. The selected methods to conduct this research include desk study, documentation, consultative interviews and discussions with relevant stakeholders, and qualitative data analysis and interpretation.